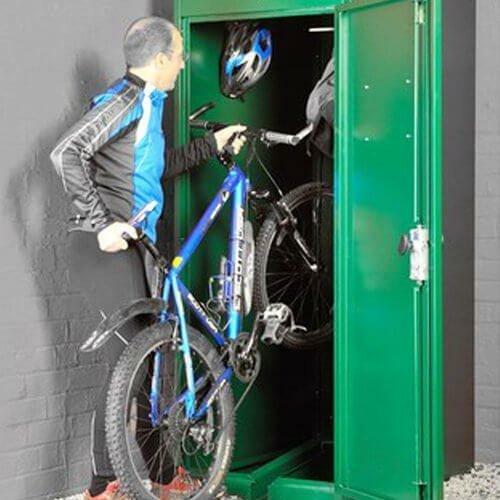 Bike lockers provide an individual storage compartment for a bicycle, best suited to long stay or higher-security requirements. 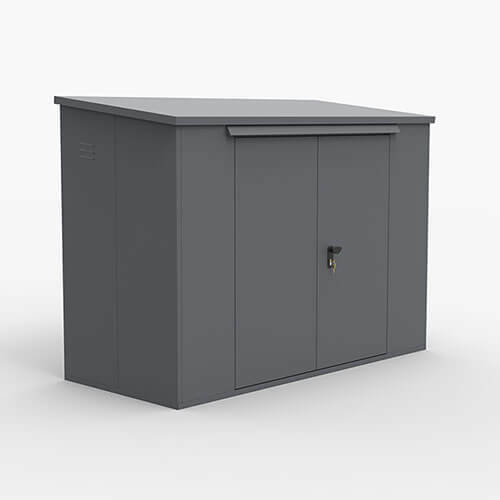 Kit and helmet storage lockers are an important consideration for larger bike parking stores. 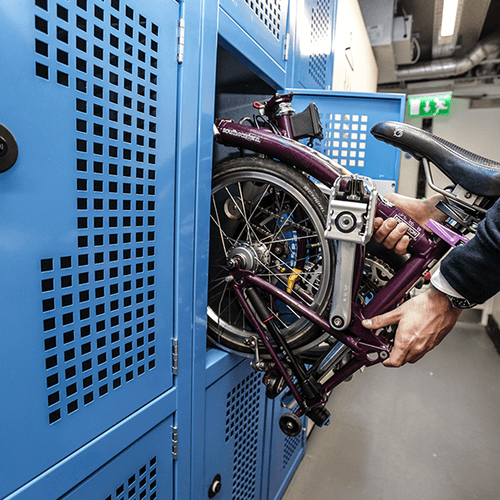 Our unique folding bike locker design accommodates the growth in Brompton bike popularity, and provides parking for multiple bikes in a limited footprint. 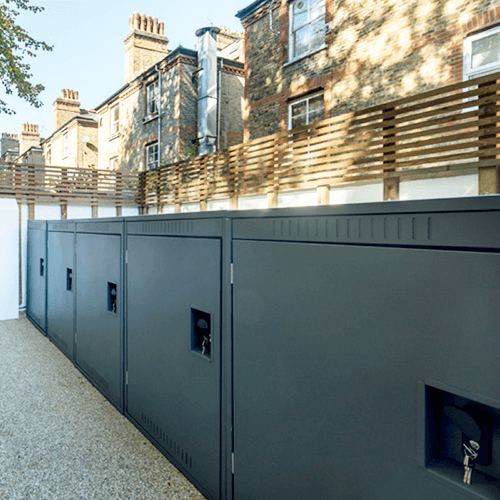 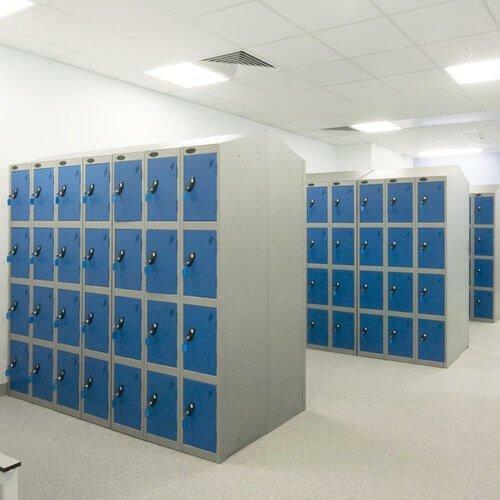 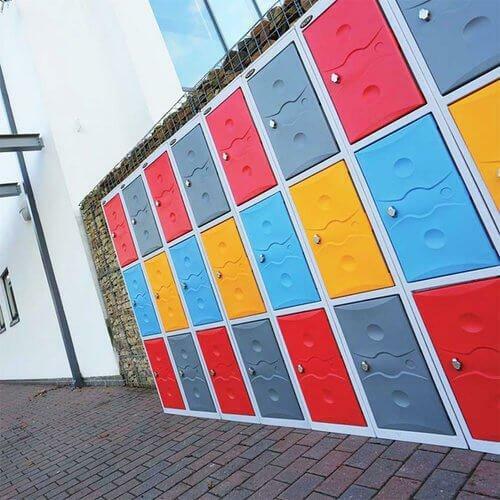 Our larger single and double bike lockers offer a secure compartment for multiple unit bike stores that can be rented or sold as a premium space over conventional cycle racks.